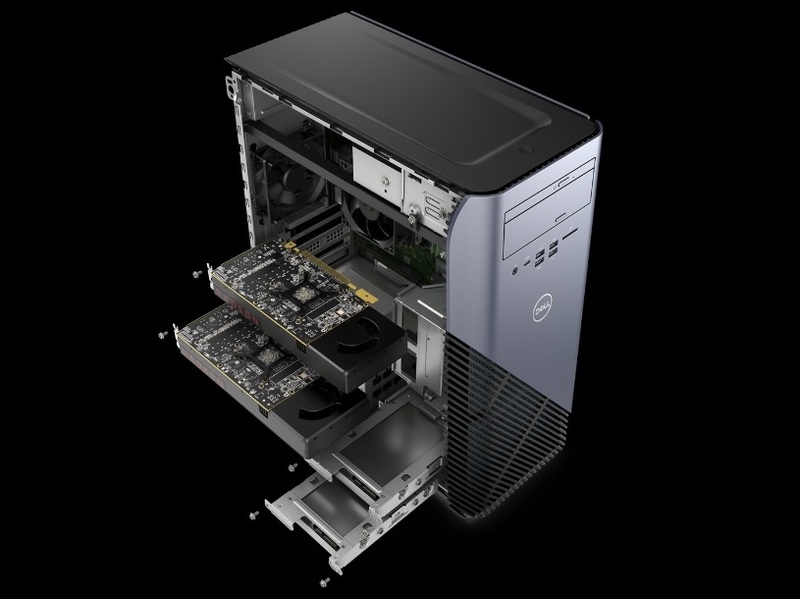 Dell today at the Computex 2017 announced its New Inspiron Gaming Desktop. The Desktop is basically focused on bringing high performance gaming experience for gamers at an affordable price. The new Inspiron Gaming Desktop is Virtual Reality Ready powered by the latest AMD multicore Ryzen processors featuring SenseMi. The Gamers will have the option to select from NVIDIA GeForce GTX 1060 and AMD Radeon RX580. The Desktop comes with a 32GB DDR4 memory with a high capacity hard drive with responsive SSD and dual drive options. The Desktop also supports power supply options up to 850 watts for supporting dual discrete graphics. Users also get a USB 3.1 Gen 1 port and a SuperSpeed USB 3.1 Gen Type C port. The Inspiron Gaming Desktop is available in China on Dell.com along with other retailers. The device is expected to be priced at $599 with the worldwide availability to make its way very soon.